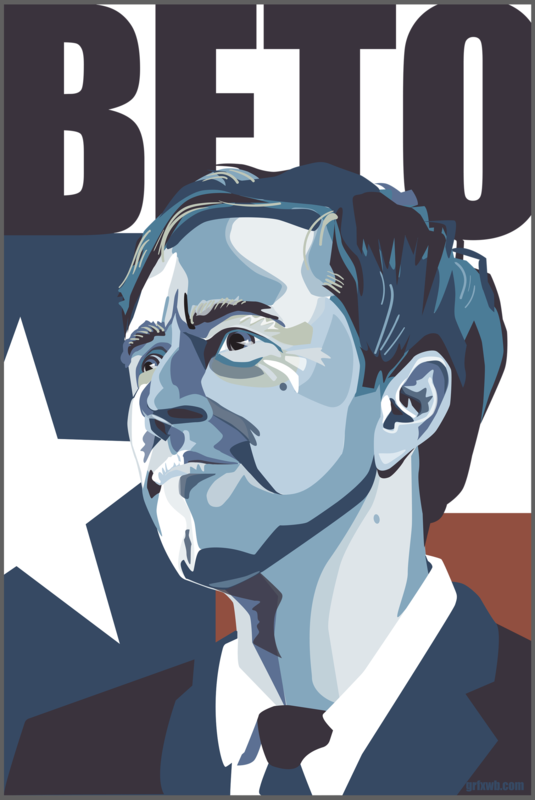 Campaign poster of Beto O’Rourke, Democratic candidate for U.S. Senate in Texas. Original artwork and design by Matt Hood, Graphics Without Borders. Reference photo by Marcus Laws for the Denton County Democratic Party. All rights reserved.